Our brand promise is to defy mediocrity and deliver extraordinary experiences. This comes to life in our identity as a brokerage with CENTURY 21 Judge Fite Company and the full scope of services we provide our clients. Our commitment to the real estate industry, real estate professional and Dallas/Fort Worth community is a core value we were founded on more than 80 years ago. We believe in being the best in all we do, not only as a top real estate brand, but standing out in DFW as a top brokerage in the industry. Joining with us, we will help you understand how to serve with world-class service and give attention to each transaction to build lifetime relationships with your clients. To serve the community, develop people, have fun and achieve profits. CENTURY 21 Judge Fite Company, founded in 1937, operates 26 offices in the Dallas-Ft. Worth Metroplex with more than 1,000 associates and staff closing more than 7,000 units with $1.65 billion in volume in 2017. Jim Fite, president, and Jan Fite Miller, executive vice president, along with their leadership team oversee the company operations. In 2017, the company celebrated its 80th Anniversary. 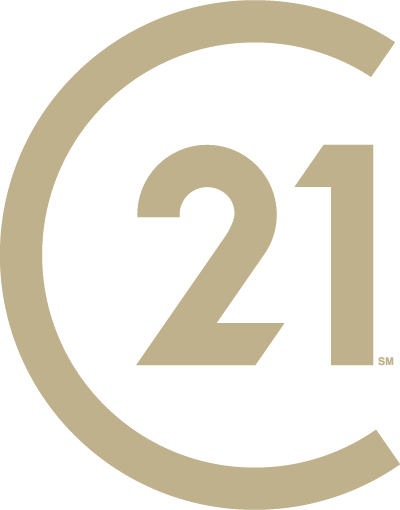 CENTURY 21 Judge Fite Company is a turn-key real estate brokerage specializing in residential, commercial, recreational, farm and ranch and luxury properties. CENTURY 21 Judge Fite Company also offers mortgage, insurance, title, leasing, property management, relocation, investment and commercial real estate services. The company recently received the #2 ranking as a Top 100 Top Places to Work award by the Dallas Morning News in 2018 and was recognized as the #1 Best Place to Work by Dallas Business Journal in 2018, in addition to its award as one of the best companies to work for in the state by Texas Monthly in past years. In 2018, Dallas Morning News awarded the company with Best Training. We are the most experienced real estate company in the DFW Metroplex, founded in 1937. CENTURY 21 Real Estate Corporation is the largest real estate sales organization in the world with independently owned and operated franchised broker offices in more than 78 countries and territories worldwide. CENTURY 21 Real Estate LLC is a subsidiary of Realogy Corporation. CENTURY Judge Fite Company is currently the #1 in Texas and #4 CENTURY 21 in the U.S. in closed units. We are committed to giving back to those we serve. In 2017, we launched the Judge Fite Charitable Foundation. Our mission is to support with our time, talent and treasure, housing opportunities for the less fortunate among us, and to provide financial support to local organizations and charities that also strive to improve the quality of life in the Judge Fite Companies geographic communities. In addition, we are one of the leading fundraising companies for Easterseals of North Texas with more than $2.25 million raised locally. Our Annual Boots and BBQ event brings awareness to the cause by collecting donations from our employees, supporters and community. As the official Kitchen Sponsor for Dwell with Dignity, we work hand-in-hand with the organization to help families escape poverty and homelessness through design; one household at a time. READY TO JOIN THE RELENTLESS? Fill in the contact form on this page or call us at 800.600.3430.